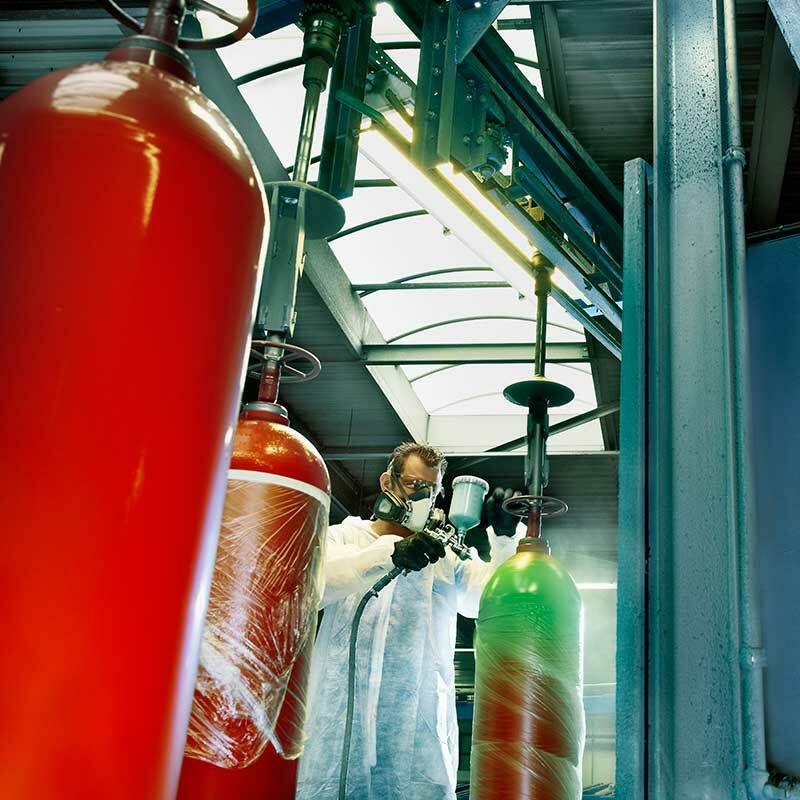 We are a proven full-service partner when it comes to chemical and gaseous extinguishing agents. It is an area of expertise that has grown at BUSE through the years. No one wants to imagine what would happen if the fire extinguisher fails in an emergency. Such an incident could result in catastrophic economic and health consequences. That’s why we take care of it – with attention to detail and all due diligence. From collecting and testing fire extinguishers to filling, painting, and returning them – you can be sure that they will be ready to go when needed. The satisfaction of our customers around the world confirm this. This applies in particular to the use and application of fire extinguishing systems and their extinguishing agents. 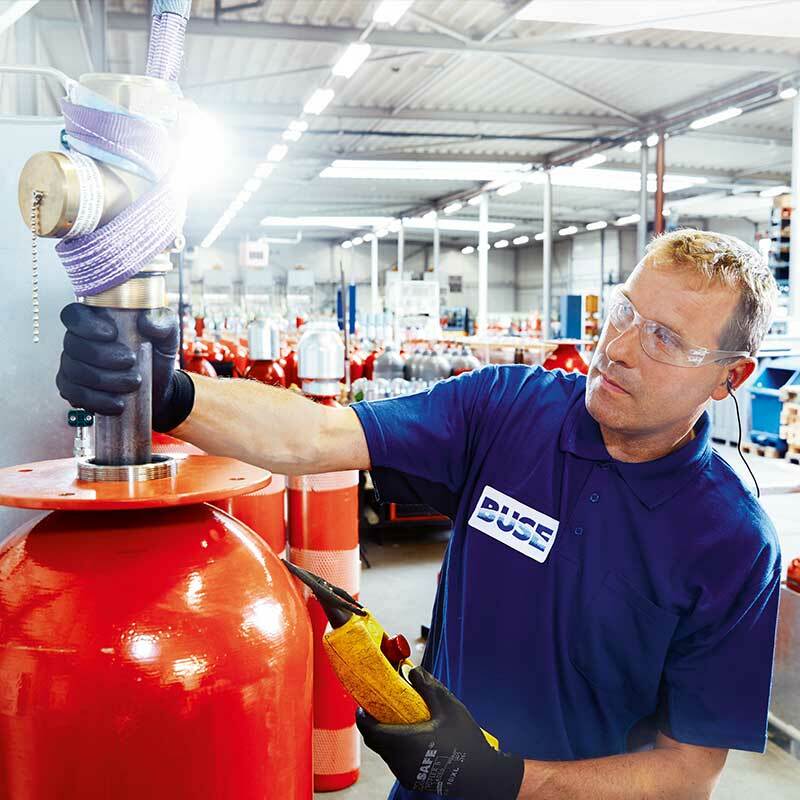 That’s why a thorough inspection of the cylinders we fill is a firmly integrated service component. What may escape the human eye can be detected by regular testing. More than 100,000 cylinders must face these control procedures every year. We test according to all national and international standards – continuously and conscientiously. That’s the goal when a fire breaks out. Different gases can be used for this purpose. Some gases rob the flames of oxygen while others absorb the heat from the fire. Minimizing the damage caused by the extinguishing agent is another important criterion to consider when selecting the right system. When it comes to protecting highly sensitive technical equipment, liquids, foams, and powders aren’t suitable extinguishing agents. For warehouses or office spaces, the focus is on protecting employees and nontoxic gases are the way to go. We Have the Right Solution for Every Requirement. Filling with a pressure up to 300 bar is performed at cutting-edge facilities using the latest equipment. This is the only way we can ensure an optimal pressure-controlled filling for our customers. If the ratio isn’t right, this can lead to flow issues and therefore lower extinguishing effectiveness in an emergency. Extinguishing agents safe for human inhalation. This and the fact that they can be easily dispersed via ventilation make them an ideal choice for offices and other populated spaces. Moreover, the agents are also safe for the environment. Everyone knows that you can’t have a fire without oxygen. Certain gases exploit this fact: extracting O2 from the source of the fire and extinguishing the fire through suffocation. Here, heavier gases have a faster effect because they spread more rapidly through the flood area. There’s no detail too small when it comes to fire protection. For water mist systems, a protective inner coating is of great importance. Rust and corrosion can fatigue the material and render the container unusable over time. 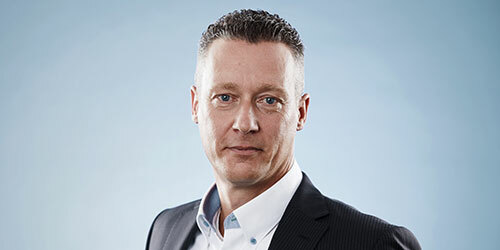 Buse provides an optimal solution. 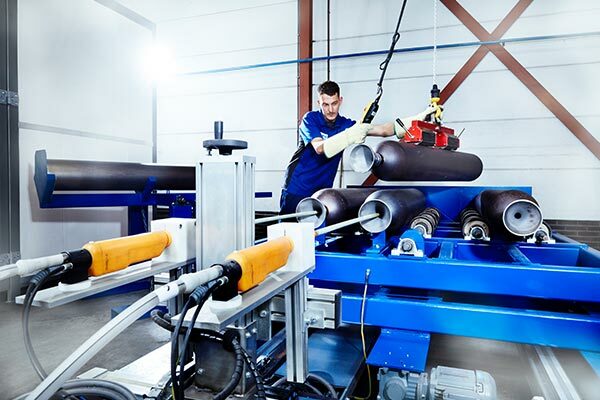 With our flexible equipment, we can powder coat your cylinders up to a diameter of 406 mm from the inside. You can’t see it, but it helps. 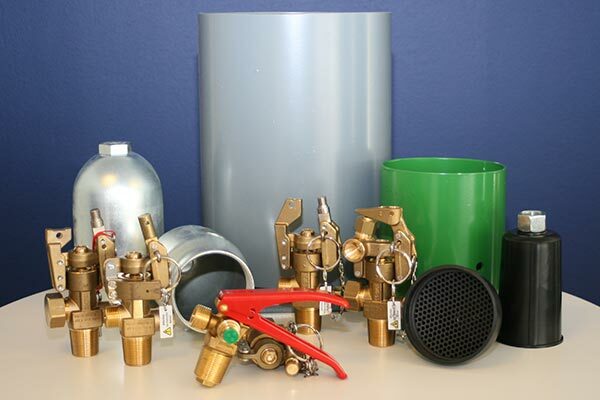 We have an extensive range of cylinders, valves, and accessories ready for any requirement. 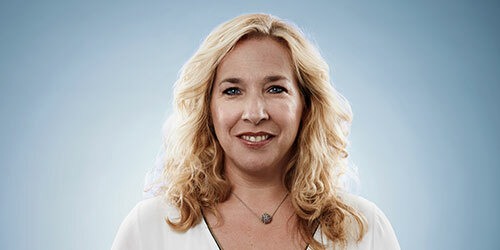 With us, you’ll get everything you need from a single source – no complicated research or time-consuming communication with other suppliers necessary. 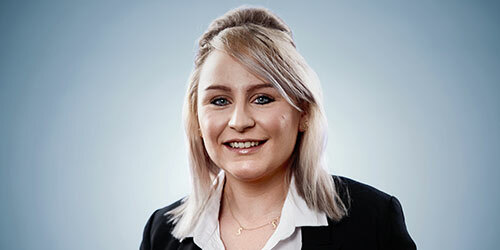 With BUSE, you’re in good hands. With our extensive stock, we help you react faster than your competitors. We can deliver cylinders from 0.5 to 180 litres from stock. The same applies to our wide range of valves and assembly parts. We currently offer this service at the express request of our customers and it also extends to cylinders owned by our customers. We are mobile for you. With our own fleet of vehicles. 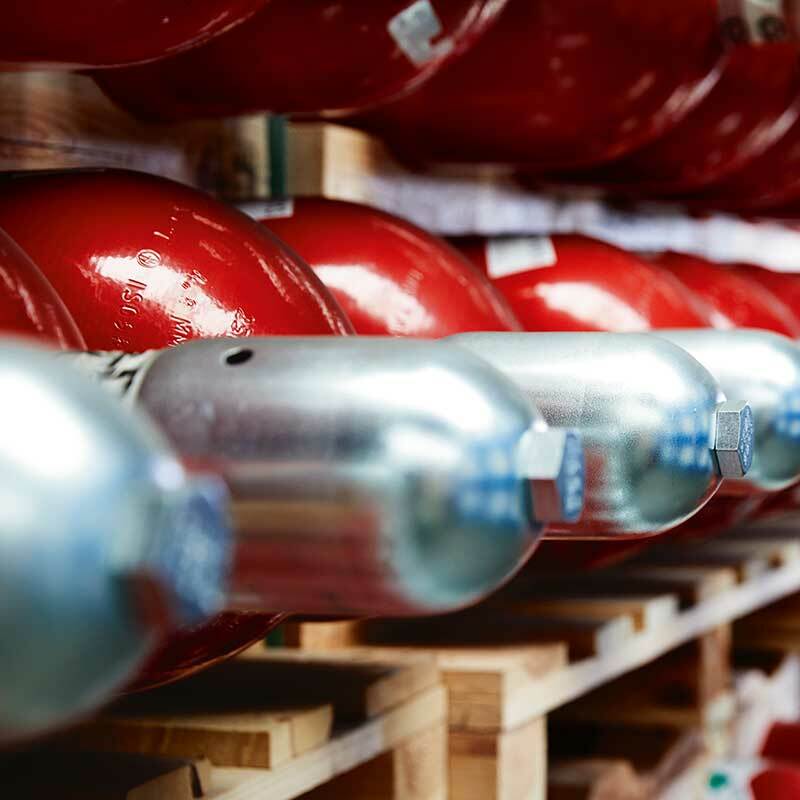 The collection and delivery of your gas cylinders is part of our service. 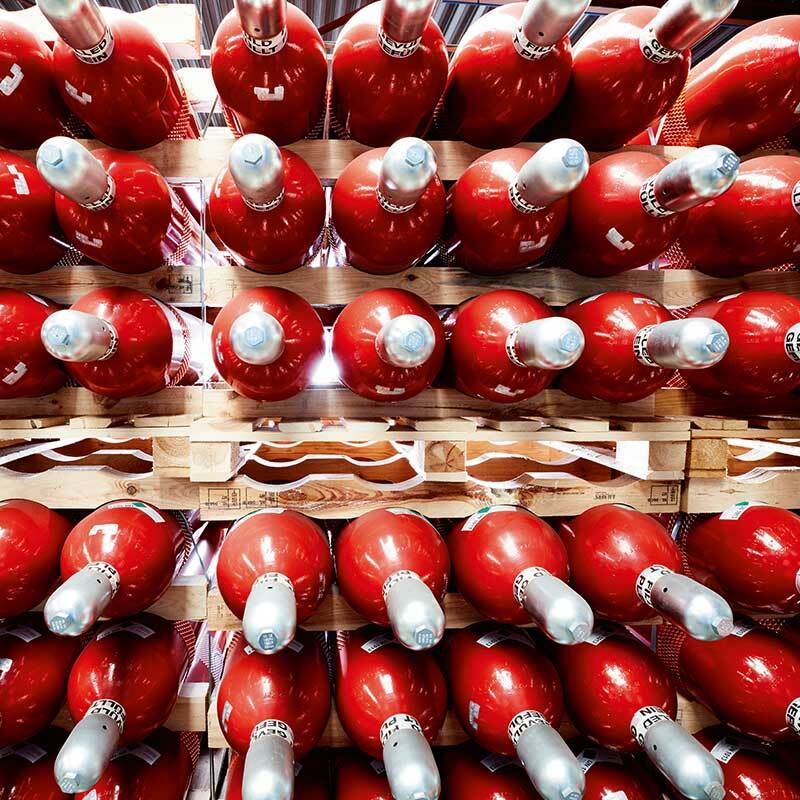 In the event of bottlenecks, we have access to reliable, long-term partners who actively support us. In this way, we guarantee a reliable supply for our customers to even the furthest corners of the world. And if your storage facilities are limited, we will be happy to help you out. 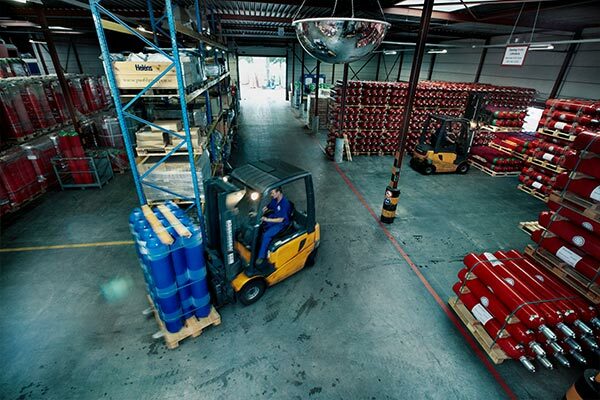 There is more than enough space for your cylinders on our premises.